ACLU of Colorado: The ACLU of Colorado is a nonpartisan, nonprofit organization dedicated to fulfilling the promise of equal justice under the law for all Coloradans. They advocate for members of disenfranchised communities, including people of color, LGBT persons, women, immigrants, low income people, homeless, prisoners, students and the elderly. Americans United for the Separation of Church and State: Americans United for Separation of Church and State is a nonpartisan educational organization dedicated to preserving the constitutional principle of church-state separation as the only way to ensure religious freedom for all Americans. Colorado Common Cause: Colorado Common Cause is a non-profit organization fighting for open, honest and accountable government. They work to strengthen public participation and to ensure that government and the political process serve the public interest, rather than the special interests. Inside/Out Youth Services: Inside/Out programs provide safe space and acceptance where Lesbian, Gay, Bisexual, Transgender, Intersex and Questioning youth can express their feelings, build their self-reliance, and connect to trusted adults for support and advocacy. Out in the community they advance understanding and equality so that LGBTIQ youth can be themselves. The Interfaith Alliance of Colorado: TIA-CO is an interfaith, member-driven, grassroots organization that strengthens democracy in our culture; serves as a progressive voice of reason, moderation and mutual respect for communities of faith; and promotes religious freedom, understanding and diversity. League of Women Voters: The League of Women Voters, a nonpartisan political organization, has fought since 1920 to improve our systems of government and impact public policies through citizen education and advocacy. NAACP: The mission of the National Association for the Advancement of Colored People is to ensure the political, educational, social, and economic equality of rights of all persons and to eliminate race-based discrimination. One Colorado: One Colorado is a statewide advocacy organization dedicated to securing and protecting equality and opportunity for lesbian, gay, bisexual, and transgender (LGBT) Coloradans and their families. 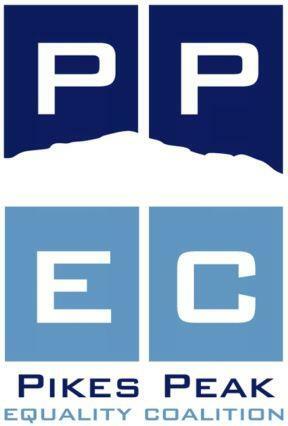 Pikes Peak Equality Coalition (PPEC): A collection of organizations working together in the Pikes Peak region. The mission of PPEC is to work together to create a strong and vibrant community where the most vulnerable are cared for and that the environment is protected by a responsive leadership that values diversity and equality. Pikes Peak Safe @ School Coalition: The coalition involves school staff, parents, students and community organizations in an effort to make schools safer for all students, regardless of sexual orientation, transgender status or gender identity/gender expression. The coalition provides consultation and training, as well as general information and support about effective bias-based bullying intervention strategies. Urbanites Leading the Pikes Peak Region: To promote equality and opportunities for the socio-economically disadvantaged through education, empowerment and advocacy.